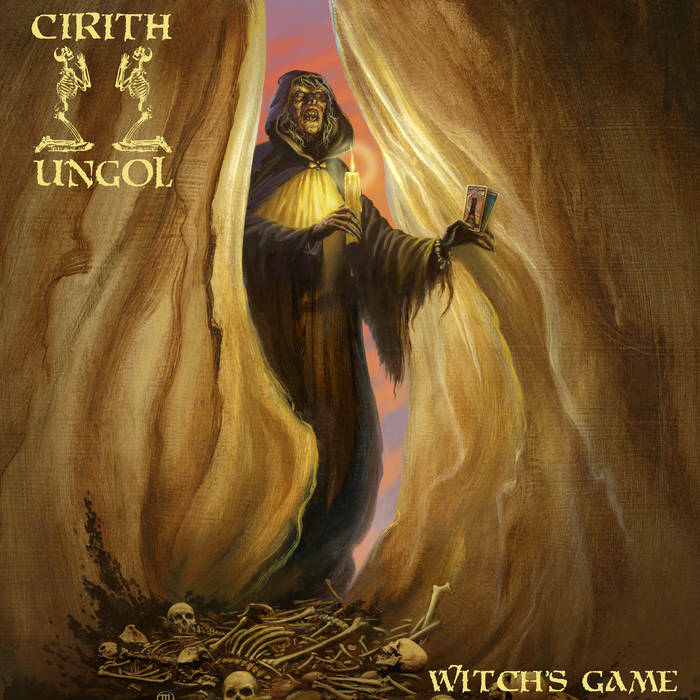 Since their return to the stages of this world in 2016 at the "Frost & Fire" festival in Ventura, CA, Cirith Ungol have also played many successful festival shows in Europe. Due to the incredible demand and enthusiastic reactions from the fans, the band has decided to start writing and rehearsing a new song and now Cirith Ungol proudly unleash their first studio recording since Paradise Lost in 1991! Listen to "Witch's Game" below. The 12" vinyl single features original artwork from the band's longtime collaborator Michael Whelan and is set for release on October 5th via Metal Blade Records. The b-side is a live version of Cirith Ungol's classic song "Doomed Planet", taken from their performance at Germany's Hammer of Doom festival in 2017. You can pre-order it at this location. The band comments: "'Witch's Game' was forged for the upcoming animated movie 'Planet of Doom'. Since we reunited in 2015, there was always a question if we would release new material. It was always on the top of our minds, and when approached to write a song that would be featured in this amazing movie, we agreed. We had already been working on songs for our 5th studio album and this was a perfect opportunity to dip our hooves back in the lake of fire! We are all very excited about the band's future and hope you like this sampling of what we have been brewing in our secret lair!" Definitely unexpected as RaduP says, but it's not a bad song! I'm stoked to hear more. Definitely, that could be great album. Well, this song actually sounds really good. Nice.